Children between the ages of 6 and 16 have to go to school. This flyer helps you to understand which steps are necessary for your child(ren) to attend school. 1. You call us. The phone number is 0221 221 29292. You will receive an appointment within one week for an advisory meeting. 2. To this appointment you come together with your child(ren). Please bring your passport and (if possible) your proof of residency (the paper you got when you registered with the city). If you have any report cards / school certificates from your child, please bring them, too. 3. The staff of our agency speaks German, English, French, Spanish and Turkish. 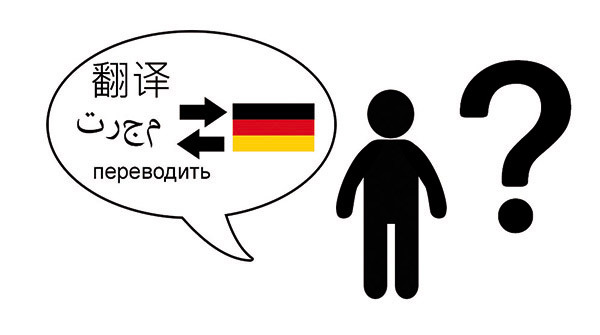 If possible, please bring someone with you who already speaks a little bit of German. 4. The staff talks with you about when your child was born, which language he or she speaks and how long your child has attended school already. We also want to know if your child can already speak German or not. There are specialized classes in Cologne where attention is paid to international students. The key aspect of those classes is learning German. You learn everything about these classes and the different schools at the Kommunales Integrationszentrum. 5. After the advisory meeting our staff sends the information about your child to the Public School District Administration / Local Education Authority (Schulamt). 6. In the meantime you need an appointment at the Public Health Office (Gesundheitsamt). That is important because every child needs to be examined (comparable to a well-child check-up) before attending school. Our agency helps you with scheduling that appointment. 7. The Public School Administration sends you a letter. It tells you which school your child will attend. 8. When you get that letter and your child was at the Public Health Office, your child can attend school. 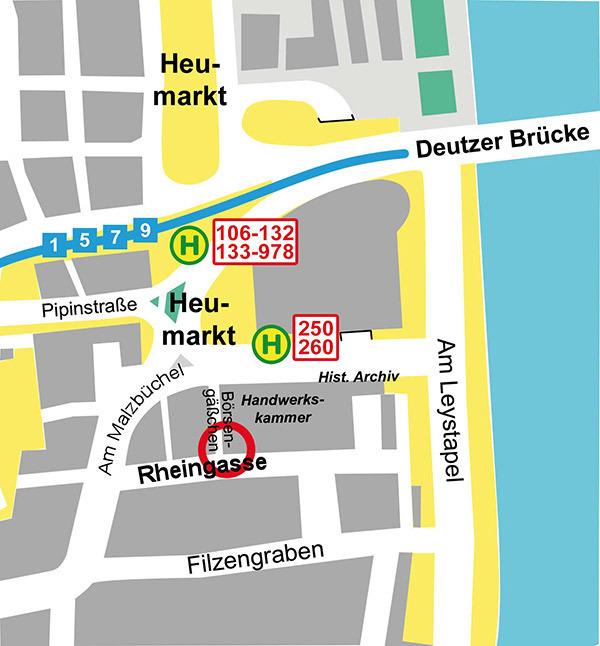 The address of Kommunales Integrationszentrum is: Rheingasse 11, 50676 Köln. How to find us: You take a bus (# 106, 132, 133, 250, 260 or 978) or a tram (# 1, 5, 7, or 9). The name of the stop is “Heumarkt”. From the stop you see the brewery “Malzmühle”. Left of that building is a very narrow street, named “Börsengässchen”. It leads into “Rheingasse”. Rheingasse 11 is directly on the left. Our offices are on the first floor / ground floor.